The case speaks for itself. Gorgeous. There's an RGB version of it as well, but I'm a fan of blue. A little too big for my build but it is definitely not bad by any means. I do wish it came with a PSU cover. 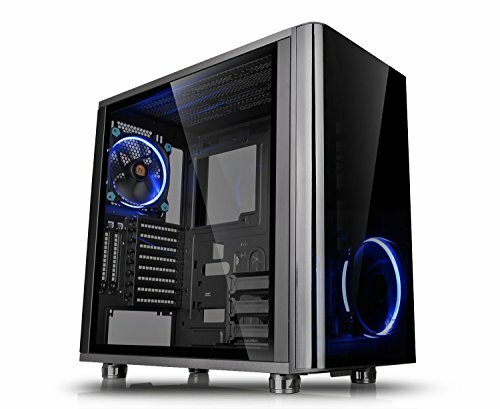 I love this case--it's beautiful and well-constructed with plenty of room for airflow! 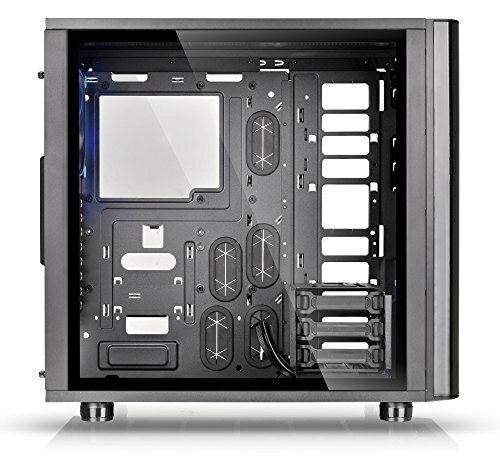 This case is huge for an ATX mid tower. It has lots of room and plenty of mounting areas for fans. Motherboard risers are pre-installed which is nice, and the cord management options are plenty. The front face is some type of acrylic that scratches pretty easily and looks boring. The included fans are decent, but not totally silent. My biggest complaint is that the documentation for the case is basically non-existent. Also, there's no PCI-e riser cable included, so be sure to pick one up if you want to utilize the side GPU mounting. This is an above average case, but I wish I would have shopped around a bit more. 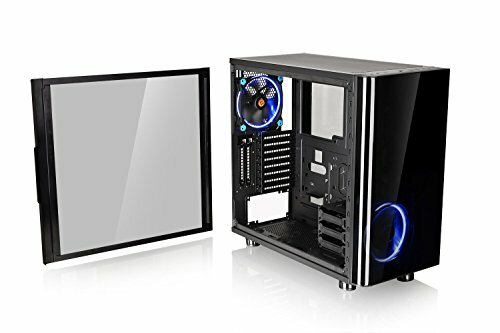 While i have only tried a front mount with push fans, the front panel definitely restricts airflow. i only have 1 140mm case fan pushing out the back, with the power supply fan facing upwards and always on, drawing air out through the psu. With the front panel off and the fans at 1200rpm, the coolant temps are around 28.5c. if i put the front panel on and change nothing else, within 30 minutes coolant temps will be 32.5c without putting any other load on the system. it may effect temps less if the rad and fans were top mounted pushing through and out, with rear and front fans pulling in. i haven't tried that yet. other than that, the case is well built. the drive sleds lock into the alternate positions securely and the quick attach design holds a 3.5 drive as securely as would ever be necessary. would have been nice if they would have included a pcie riser cable for the alternate video card mounting position, but i don't think i'm going to have enough clearance to use it with the 2.5 slot size of the amp extreme video card. 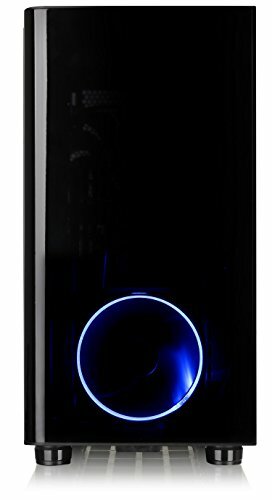 this is not the RIING model, so it comes with blue solid led 140mm fans, which are nice and quiet at low rpms. i have them slaved to the motherboard temps which have remained rock steady, so they haven't ramped up during normal duty cycles. when set to full speed, they generate less noise than the fans for the aio cooler. good cable routing with plenty of tie down points. 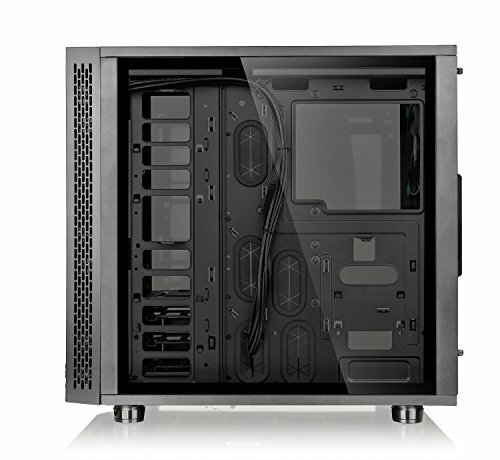 plenty of radiator mounting options and plenty of space for custom open loops. just wish the front cover wasn't such an airflow restriction. Great case for a beginner. I just wish cable management was easier.